Product Description: Blaze 20-Inch 4.5 Cu. Ft. 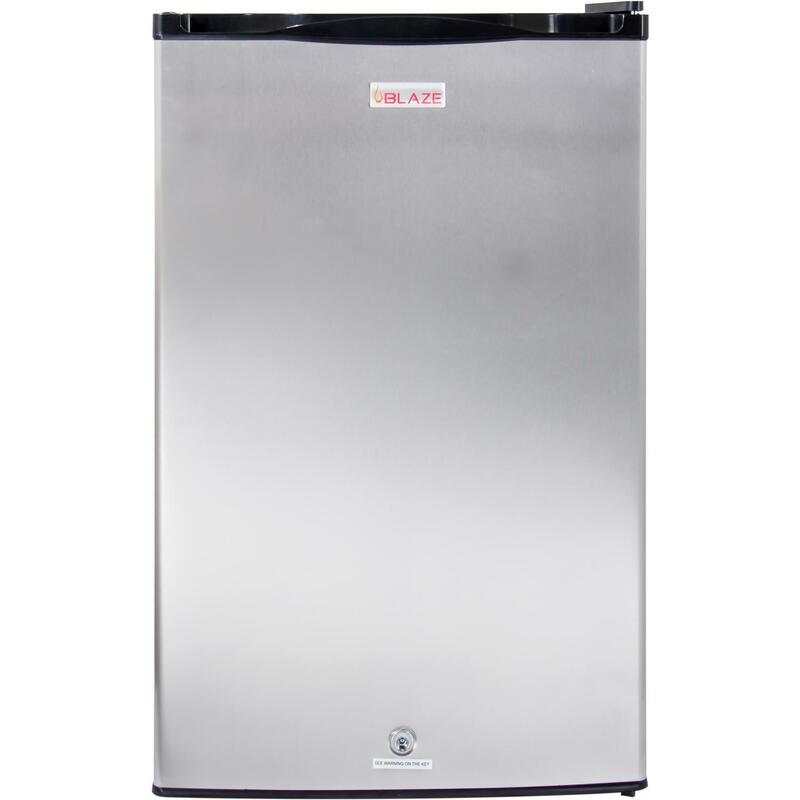 Right Hinge Compact Refrigerator With Stainless Steel Door & Towel Bar Handle. Blaze Outdoor Products introduces the essential item to keep your outdoor kitchen stocked and ready to rock. The Blaze 4. 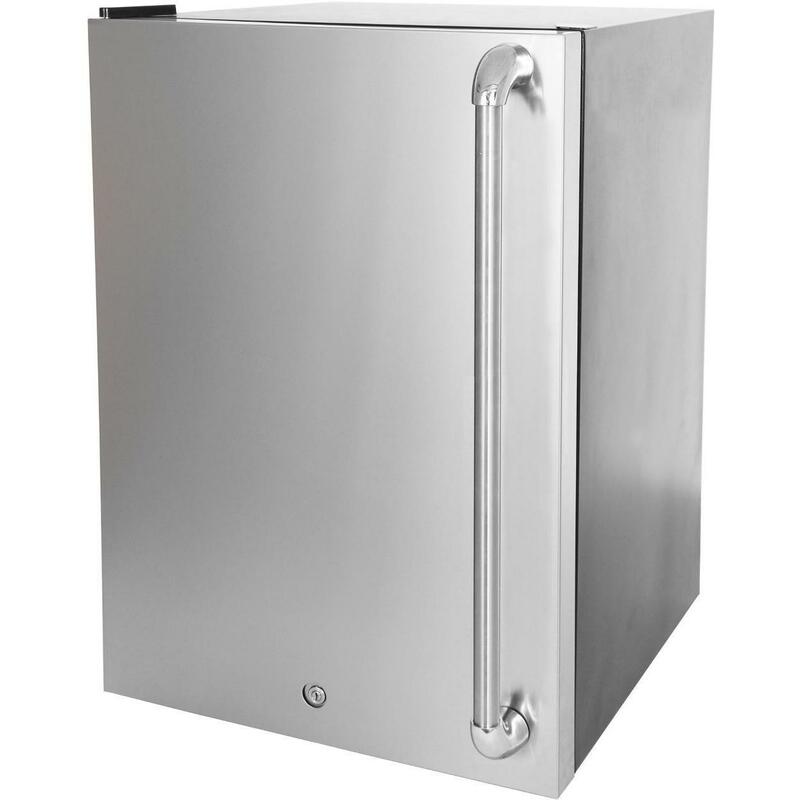 5 cubic foot refrigerator has all of the same features as the original BLZ-SSRF130 refrigerator, with the added benefit of a solid stainless steel door sleeve upgrade. 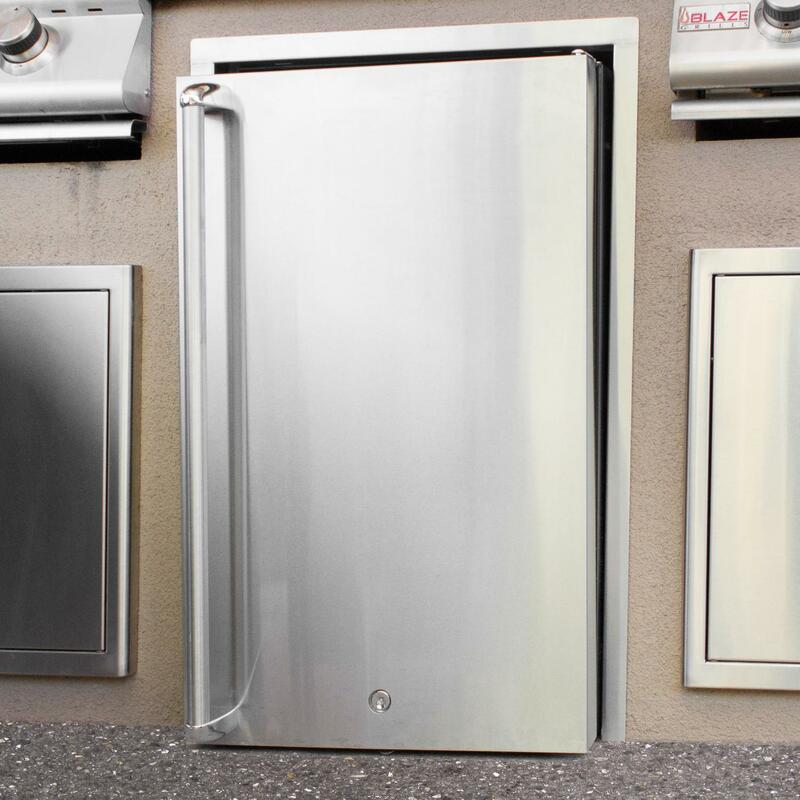 This compact outdoor refrigerator features a solid stainless steel exterior door equipped with a towel bar handle, adjustable leveling legs for an exact fit and a door lock to secure food and drinks. The interior comes equipped with a light for easy visibility and three (3) adjustable, wire shelves for storage. The right hinge door features three shelves for storing condiments or tall bottles and a beverage can holder and dispenser. This compact refrigerator has a mechanical thermostat for controlling the temperature and automatic defrost for easy cleaning. Whether you use it in your dorm room, kitchen or garage, this Blaze 4. 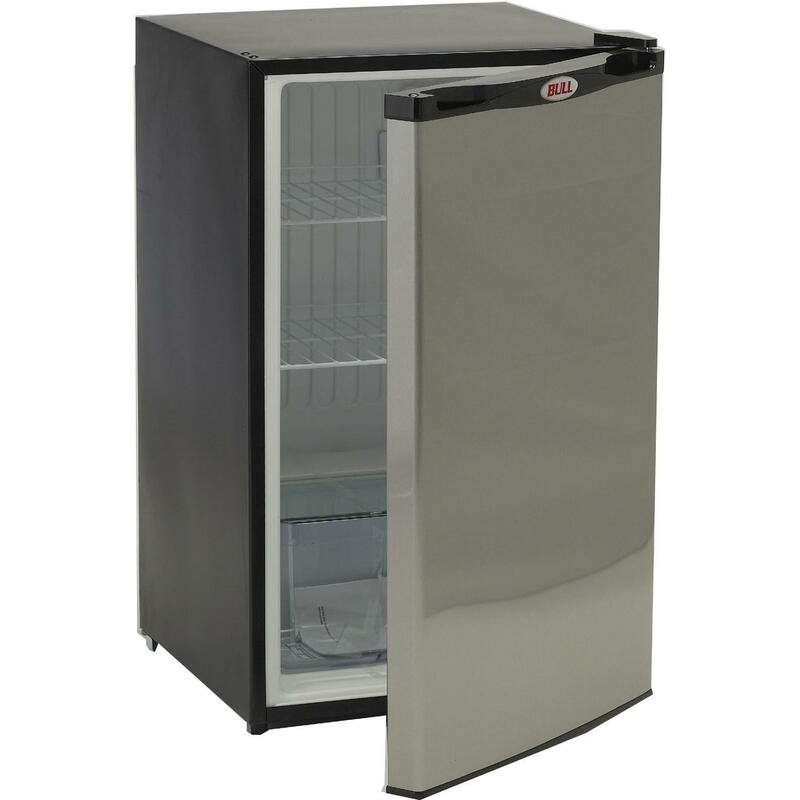 5 cubic foot compact refrigerator is the perfect addition to any indoor or outdoor setting. The refrigerator and door sleeve are shipped in two separate boxes. Some assembly is required.